Ah the Maldives. Clear, calm, blue water. White sands. A soft breeze blowing through your hair. Some champagne poured for you and your husband. Definitely NOT a place to bring the family, right? 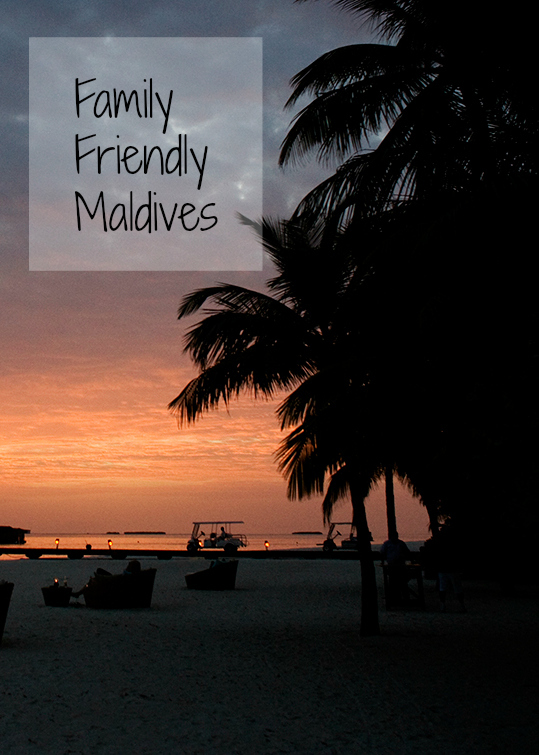 YES, you can find family friendly Maldives! We did and we are so glad we took the plunge. The kids were very young – 4 and 5 months, but Max still remembers much of it. I did a LOT of research to find the perfect place for us. I was happily surprised to find that the Maldives Islands are very family friendly. If I was able to find options, anyone can. There are definitely things to look for and things to avoid so I’m here to make it easier! First the obvious...family focused activities. Kid’s Clubs and family friendly activities are really important to analyze. The Maldives primarily consist of small islands and each island houses a resort. So in a sense, each resort is a private resort. And where you pick will be where you are for the week. Island hopping doesn’t happen so you make the most of the island you’re on. Picking the right one for your family is a significant consideration. 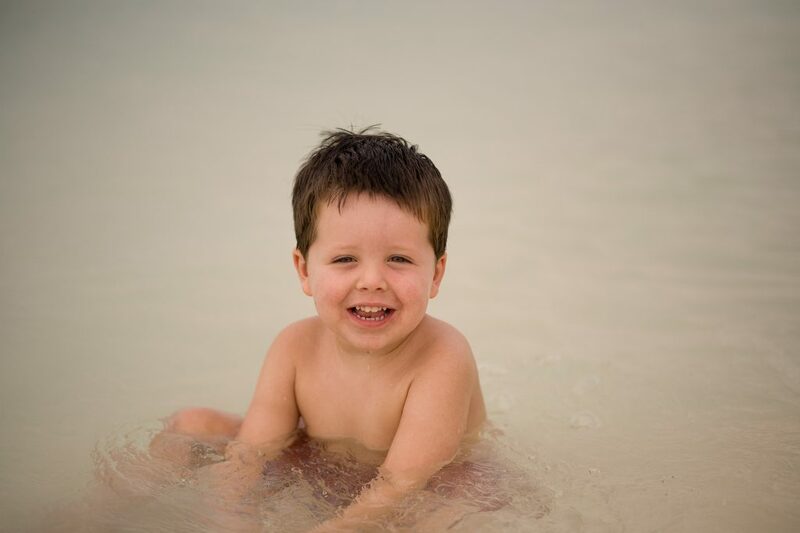 Kid’s Clubs aren’t a given at all Maldives resorts so choose carefully. In addition, making sure there are activities for your children to participate in is very important. Are all the activities sunset cruises with champagne and snorkeling? That may not work for a family. Rafts that help small children snorkel and a pizza making class is what kids want. Location location location. Where is your resort? Plenty of the islands are located near Male, the capital of the Maldives and the airport location. 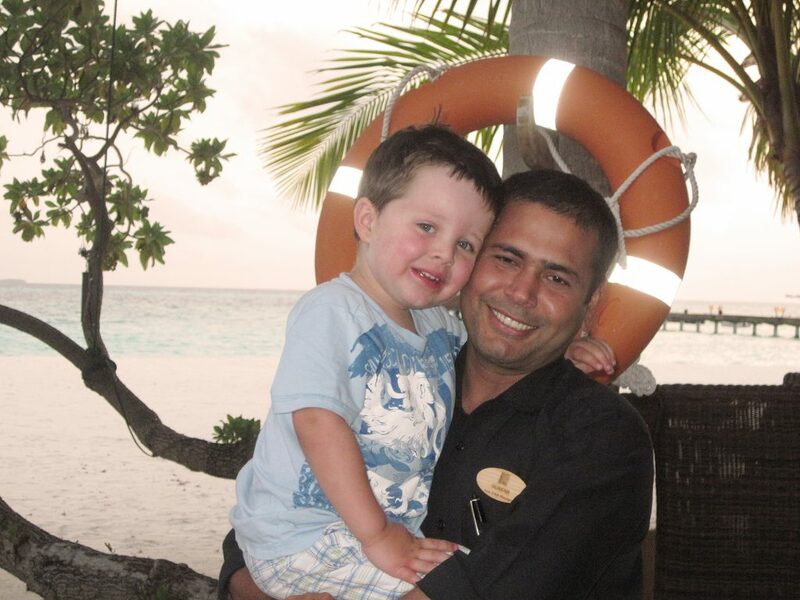 There are many family friendly Maldive resorts within a 20 minute boat ride. However, there are also plenty of beautiful resorts located many miles away. And the only way to get to those islands is by seaplane. Decide whether you, as a family, can handle a seaplane. We went on one and Keith was thrilled, but I was scared to death. And I had a baby. And felt like I might drop said baby when I was getting off the plane and stepping onto the dock. And it was seriously loud. Would I do it again? Yes, absolutely. But many families are a little frightened of things like that. Room options are really important for a young family. If the resort you’re looking at primarily has over water rooms, it won’t work for a family. Over water bungalows are a liability for both a family with little kids and the resort. A resort may not even allow you to book an over water room with children under a certain age. Look for resorts that have a variety of room configurations. Bungalows on the beach are perfect for a family – many of them have their own private “backyard” on the beach and kids have a blast playing in the sand and building sand castles while mom and dad relax on lounge chairs. Consider food for the family and look for a resort that includes, at the very least, breakfast. Maldives are very expensive and getting a big breakfast including in your rate saves a lot of money. Additionally, what kind of the food does the resort have? Champagne buffets with lobster every morning? Not going to work for a kid. Kid’s menu with chicken nuggets? Score! Our resort had a huge breakfast included with the rate with everything and it really helped save some money. The breakfast was huge so no one was really hungry until it was time for dinner. Most families are going to consider cost when it comes to Maldives. Being remote islands, they are obviously pretty expensive resorts and will cost upwards of $400 at the very least. In fact, it’s hard to find a decent resort under $500 to $600 per night. 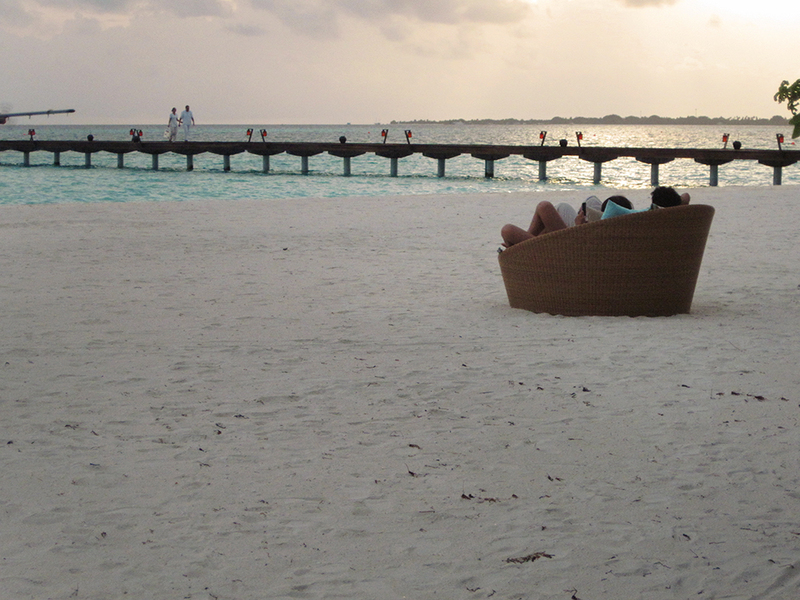 Carefully weigh the options for resorts and family friendly Maldives. This isn’t a place you want to skimp on. You’ll pay more. But it will be worth it. Maldives are a truly special, once in a lifetime experience. 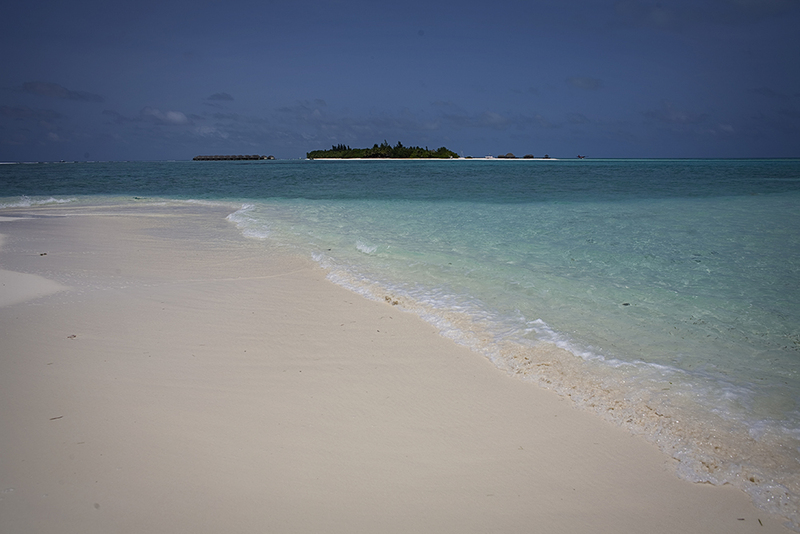 Kanahura Maldives – Lhaviyani Atoll. This is the resort we stayed at and it recently underwent a major renovation. Heaven only knows what they were improving on because this place was spectacular. A great kid’s club. The friendliest staff imaginable and plenty of family friendly things to do. Our favorite was a private picnic lunch on a private island owned by Kanahura about a 20 minute boat ride away. We’re talking white table cloth on the beach, perfect service, while our son played in the surf. And by surf, I mean “water that was no deeper than two feet despite being 50 feet from shore.” It was insane. 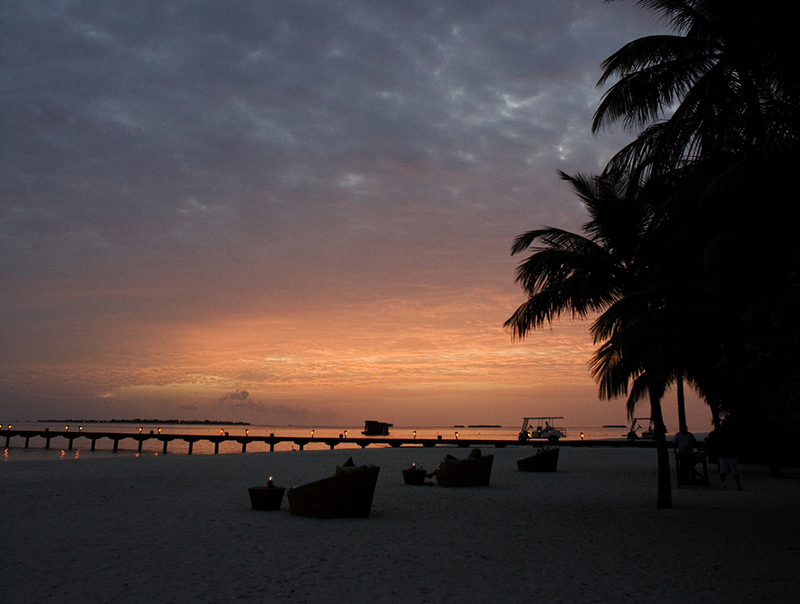 Anantara Dhigu, South Male Atoll. You can’t go wrong with an Anantara Resort and at only 35 minutes from Male, this resort is super convenient. 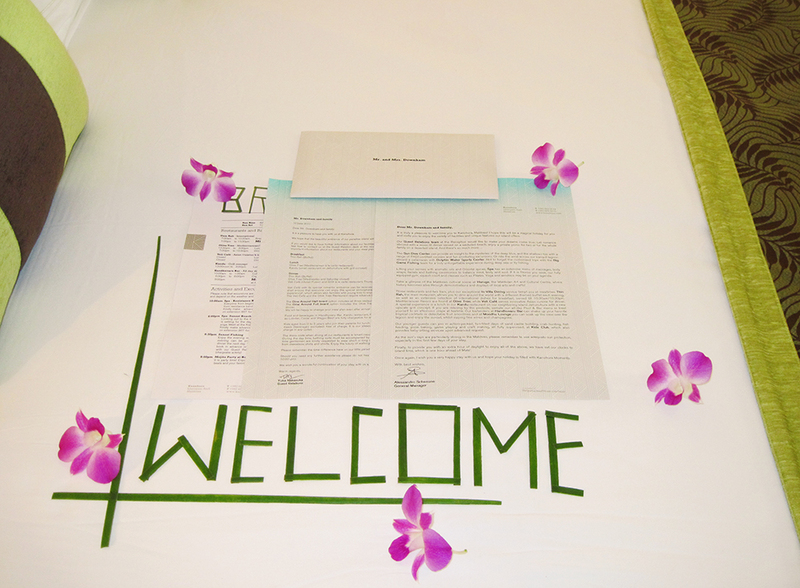 It’s also super family friendly, with a great kid’s club and little “extras” to make kids feel welcome – a welcome pack with little treats and kid’s bathrobes. Four Seasons Resort at Kuda Huraa. 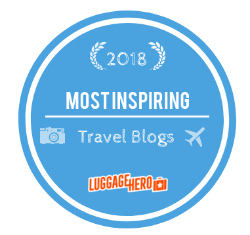 We have some really good friends who chose this for their Maldives experience and they can’t say enough about it. The usual Four Seasons amenities abound – kid’s club, children’s slippers and bathrobe, beach essentials for kids and fantastic kid’s food. 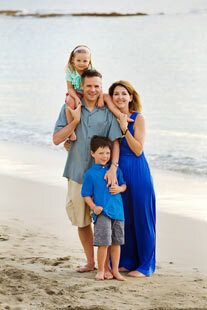 In addition, the resort made them feel so at home that their daughter became friends with the general manager’s daughter and they still keep in touch. Now that is family friendly Maldives. 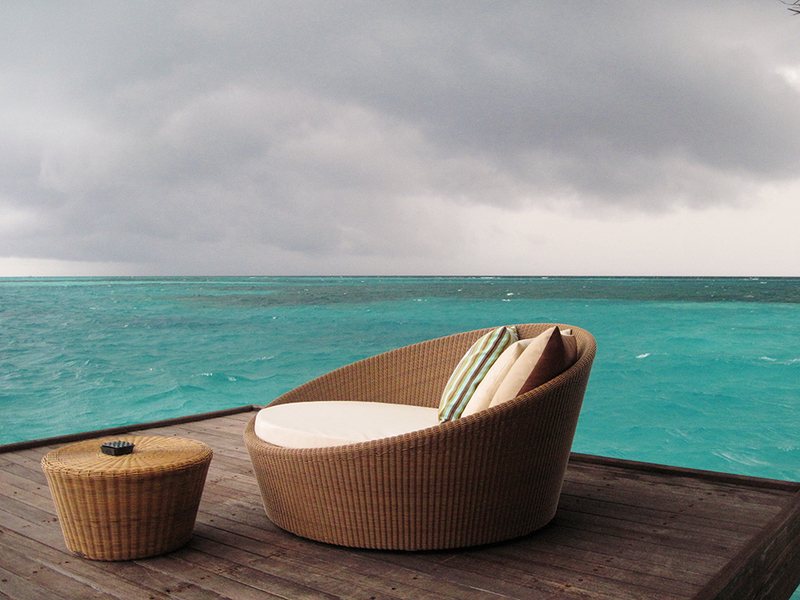 Soneva Fushi. In addition to a fantastic kid’s club, how does a pirate ship, two swimming pools, Lego room, dress-up area, cinema, library, learning area and music room filled with instruments sound? In addition, a family cooking class, a dolphin cruise, a father/son picnic and mother/daughter spa day and a marine biologist snorkel day. 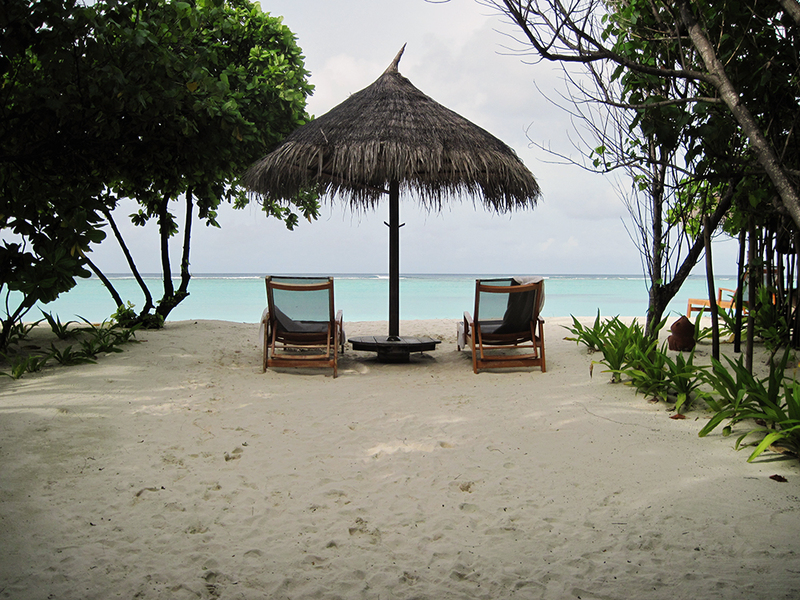 I have the feeling this might be our place when we go back to the Maldives. There are plenty of options in Maldives. For even more options, check out this post. Traveling without kids? There are plenty of options for kid-less vacations also! Thinking about splurging on a family trip to the Maldives? I can help! Contact me here.